Calgary, AB, Canada – The weekend of the Spruce Meadows ‘Masters’ Tournament CSIO 5* started with sunshine and fantastic sport. 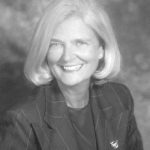 Crowds of spectators filled the stands to see the best horses and riders in the world compete for their countries in the $300,000 BMO Nations’ Cup. 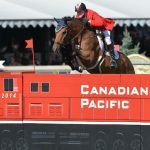 Canada, led by the double clear of 20-year-old Ben Asselin and Makavoy, were victorious for the first time since 2006 over the United States and Belgium. 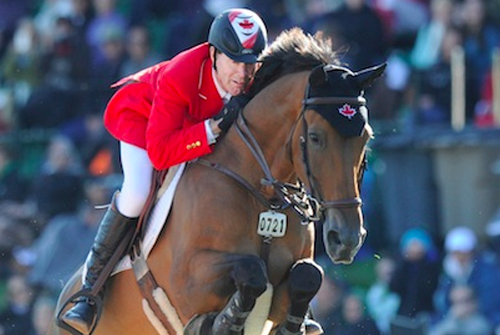 Earlier in the day, Conor Swail (IRL) and Martha Louise took the top spot in the $125,000 Suncor Energy Cup 1.50m. The Spruce Meadows ‘Masters’ concludes on Sunday, September 14, with the feature event, the $1.5 Million CP International, presented by Rolex, part of the Rolex Grand Slam of Show Jumping. Watch highlights from Saturday’s competition at the ‘Masters’! 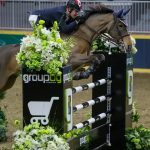 The $300,000 BMO Nations Cup had eight top teams compete in the first round, and six returned for the second round. Canada had a solid performance in the first round and were leading with just one fault. Belgium was one rail behind with five faults, and the USA had nine faults. Millar led off the team in round two with Dixson and had just four faults. They were clear in round one. Tiffany Foster and Tripple X III also knocked down one rail in round two, while they tallied just one time fault in the first round. The team leader was Ben Asselin on Makavoy, who recorded double clear rounds. 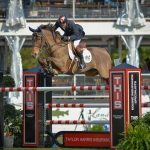 Eric Lamaze and Zigali P S had eight faults in round one and due to Canada’s lead that couldn’t be beat, did not have to return for round two. Canada finished on nine faults. All four of the United States’ riders improved in round two from round one. Members included Lauren Hough and Quick Study (5,4), Leslie Howard on Tic Tac (4,0), McLain Ward and HH Carlos Z (5,4), and the incredible anchor ride of Beezie Madden and Simon, who were double clear. Madden and Asselin were the only double clears of the competition. Team USA finished on 13 faults. Belgium was unable to record a clear in round two, which relegated them to third place. Pieter Devos and Dylano led with a clear in round one, but had eight faults in round two. Olivier Philippaerts and Cabrio van de Heffinck had four faults in both rounds, while Niels Bruynseels and Pommeau du Heup had one and four faults. Anchor Nicola Philippaerts and Challenge vd Begijnakker had eight and 17 faults. They finished with 21 faults. Fourth place went to France with 23 faults, Switzerland was fifth on 28 faults, and Great Britain was sixth on 37 faults. Germany was seventh and Ireland was eighth. Chef d’Equipe Mark Laskin had big smile on his face when he spoke about today’s results. “My expectation every time out with my riders is that we’re going to win. Whenever we don’t, I’m disappointed. Today, not so much!” he exclaimed. The Canadian team in their winning presentation with Frank Techar, Chief Operating Officer, BMO Financial Group. 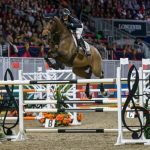 All of the riders said that they are looking forward to tomorrow’s $1.5 Million CP International, presented by Rolex, which is the second leg of the Rolex Grand Slam of Show Jumping.